More than four years after IS overran large parts of Syria and neighbouring Iraq, and declared a "caliphate", they have lost all of it but a tiny patch in the village of Baghouz near the Iraqi border. 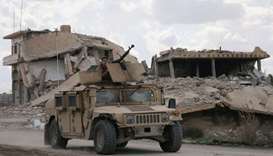 More than 40 trucks carrying men, women and children left the enclave on Friday, AFP correspondents at a position of the US-backed Syrian Democratic Forces outside the village reported. Most were women and children, their clothes caked in dust, but the passengers also included men with their faces wrapped in chequered scarves. Women clung to the railings of the trucks, while the hair of younger girls blew in the wind, as they left enclave in the second such large-scale evacuation in three days. On the back of one of the trucks, three men covered their faces with their hands, apparently not to be caught on camera. One woman raised the index finger of her right hand in an Islamist gesture signifying "There is no god but God". Asked what the situation was like inside the last IS scrap, a young man replied: "Not good". SDF spokesman Adnan Afrin said more than 2,000 people were estimated to still be inside the pocket, and more trucks were expected to bring them out. 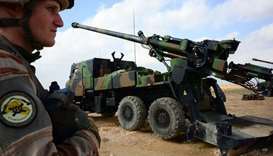 Once the evacuations have ended, the jihadists will have to decide whether to continue defending the less than half a square kilometre they still hold, he said. "They will be faced with a choice: war or surrender," Afrin said. Earlier on Friday, SDF spokesman Mustefa Bali said he hoped civilian evacuations could be completed by Saturday. The SDF evacuated 3,000 people on Wednesday -- mostly women and children -- but trucks left near empty on Thursday. Bali said that screening had determined that most of those evacuated on Wednesday were foreigners. "The majority are Iraqi and from countries of the former Soviet Union, but there are also Europeans," he said. David Eubank, the leader of the Free Burma Rangers volunteer aid group, said they included "many French women", as well as others from Australia, Austria, Germany and Russia, and one woman from Britain. Human Rights Watch, a New York-based watchdog, urged the SDF and the US-led coalition supporting it to make protecting civilians a priority. "Witnesses described harrowing conditions in the last months, with lack of food and aid forcing them to eat grass and weeds to survive," it said. Beyond Baghouz, IS retains a presence in the vast Syrian desert and sleeper cells elsewhere, and continues to claim deadly attacks in SDF-held territory. 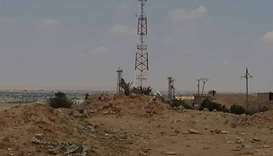 On Thursday, they detonated a car bomb that killed 20 people near the Omar oil field, the main base for the SDF operation in Baghouz. The battle for the village is now the only live front in Syria's war, which has killed 360,000 people and displaced millions since 2011. Any SDF victory would accelerate a planned withdrawal of US troops from Syria announced in December by US President Donald Trump. Kurdish forces, who have spearheaded the US-backed fight against IS in Syria, have expressed fear that a full pullout would leave them exposed to a long threatened attack by neighbouring Turkey. But the White House said Thursday the US military will keep "a small peacekeeping group of about 200" in Syria after the withdrawal. 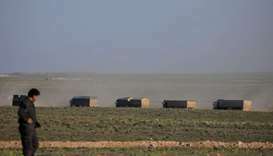 The Kurdish authorities in northeast Syria welcomed the move. "We positively evaluate the White house decision to keep 200 US soldiers in our region as a peace keeping force," foreign affairs official Abdulkarim Omar said. It is a "very important to maintain stability and protect our region from the Turkish threats, and ensure that terrorism will not be back," he wrote on Twitter. At the height of its rule, IS imposed its brutal ideology on an area roughly the size of the United Kingdom, attracting thousands from abroad. But some of those foreigners have been killed, while the SDF holds hundreds more. Syria's Kurds have requested their home countries take them back, but foreign governments have been reluctant. On Thursday, the father of Alabama woman Hoda Muthana, 24, sued to bring her home after the Trump administration declared she was not a US citizen. London teenager Shamima Begum, 19, faced being left stateless after Britain revoked her citizenship, and Bangladesh, where her parents were born, said it not want her.